Do you know this camera? You should, it is by far the best camera ever made. 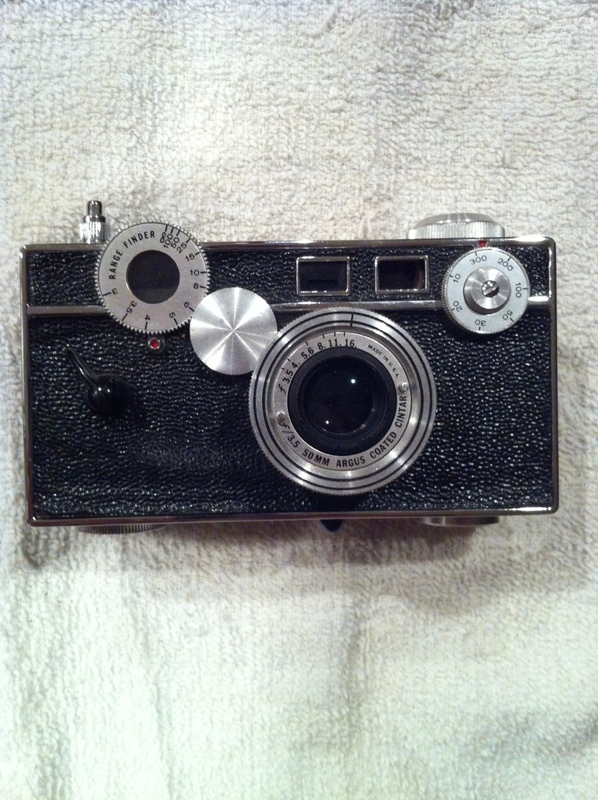 In its short life span it sold more than Leica ever did. It has been featured in several movies, albeit mis-named in one or two. From its humble beginnings as a radio, it alone made 135 film the standard for the average joe. Leica was to expensive and Kodak couldn’t make up its mind what format to stick with (who knew) but this camera brought photography to the masses. I love this camera. Even sixty plus years after its inception, it still works, say that about my digital after that much time. Social Networking has made me a better photorapher. Not, or maybe, it’s hard to say. I seem to be spending more time on the social sites trying to keep up on things than actually shooting. That’s not to say that it hasn’t been productive, it has, but I would rather spend my time shooting. In the past couple of months since starting on this SMM (Social Media Marketing) kick, I have found a bunch of outstanding photographers that share the same vision and ideas that I have. For years I felt I was alone in what I was doing with my photography. Every once in a while, I would happen upon a photographer in a magazine that was shooting something crazy like “Urban Oasis” and I would be amazed at their take on it. Now, It seems that I am being inundated with photographers doing the same kinds of things that I like. There is a yin and yang to this tho. On one side is the yin, the negative, that being some of the most awesome work by some very talented photographers. I get ill viewing their work because it is so much better than anything that I have done, so much so that it takes the wind from my sails. The yang being that I get inspired to do better than I have in the past and I spend more time looking for better photographic opportunities. I feel that my photography has improved but that is a subjective point of view and is left to the viewer to decide if my work has merit. Social Media may not be making me a better photographer but it has given me the impetus to do better and it is showing me different ways to shot, I just have to pull myself away from the computer and my phone to shot more. Working photographer, not working as a photographer but struggling to make it as a photographer while holding down a “steady” job just to make ends meet. I have been trying to figure out the secret formula to strike it big as a photographer but as I type this it hasn’t happened yet. It’s 1am and I have just made it home from the job that I detest but pays the bills and keeps me and my family from living under an overpass in a cardboard box. I guess you could say that I am lucky to have a job but if I had my way I would be “out there” struggling for my “art”, but I can’t. For some odd reason, my family insist on being feed, clothed and housed with running water, electricity and satellite television. They don’t understand the concept of “starving artist”, well maybe they do they just don’t want to starve with me. Who knows, maybe one day I will hit upon that elusive formula or take that great shot that will garner me recognition in the photographic world as the next Avedon, but until then I have to be back at work in 11 hours.